A new player has entered the battle field and I’ve almost no information to share about Airist Audio apart from the fact they are a small team of smart people from the likes of MIT, Harvard to name but a few colleges and who have a passion for audio. What I can say is that these newbies to the audio game have put together a very good amplifier. Really, that’s all that matters these days. Amplifiers have come a long way in the past few years and it seems like more delicious Summit level products are available than ever…these guys and gals are extremely bold with their pricing for their very first foray into Audiophile land. At $1999, I can safely say the exterior build quality of the amplifier radiates quality in abundance. She is hefty at almost 15lbs, utilizing a fully aluminum chassis from start to finish. 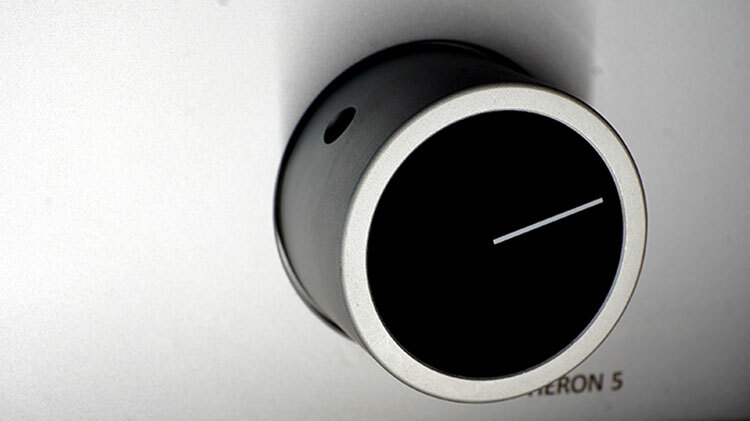 The power button feels buttery smooth and when active, the Heron 5’s volume knob lights up with a beautiful contrast in color to the surrounding black finish of the center of the dial. While on the subject of the dial, it feels very heavy and of a high quality with a satisfying clink that can be felt for each volume position as you toggle it. I am a fan of this type of tactility and dislike the slick and effortless volume knobs that are found in most other amplifiers. I want that weighted appeal when I turn the volume up and down, maybe I am in the minority on that? I don’t really know if that matters or not, but I like little oddities like that. They also include what looks like a medical grade power cable that is super dense and bulky. I’ve a gripe…and it’s a serious gripe that comes in the form of the type of outputs and inputs some amplifiers are using in their designs: the Heron 5 has Balanced XLR and RCA inputs, but only ¼ outputs. This upsets me to know end and I am firm believer that this type of a design needs to end…forever. The unit has dual left and right balanced 3 pin XLR inputs as well as RCA, but conversion from balanced to unbalanced is designed into the circuitry. I want to rip what little hair I’ve left right out of my head when I see designs that tell you “Nope, you can’t have balanced. We are just going to allow you to be teased with Balanced XLR’s, but will just remove the potential for a balanced output for no real justified reason.” This is such a pet peeve of mine. Why allow for XLR 3 pin input but then convert to ¼ for the output? This makes no sense. Just drop the high ¼ output and swap it for a single 4pin XLR! Seriously, this makes me want to cry like a toddler and stomp and pout up and down my hallways of my condo. The Heron 5 has a unique feature that I’ve not seen in an amplifier in a long time: dual ¼ outputs that are intended for different output impedance headphones. High and low, I suppose? I’ve no real details on it, as the website doesn’t offer any useful information on well…anything about the amplifier or the company that I can relay to readers here. What I can say is that headphones like my Enigma Dharma D1000 ($1299 hybrid dynamic and electrostatic headphone) sounds much better through the low ¼ output on the right side. I feel like everything on the left-high output sound overdriven and if High Gain is always active. 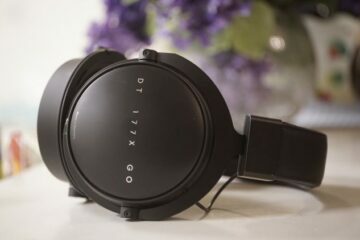 I wasn’t able to find a single headphone, even demanding ones that sound better when using the left side output, as the left side is more prone to static and hum from a noisy source. I’ve a 3.5mm male to dual XLR cable that bridges my sources, this cable works with my Mjolnir’s XLR input just fine, but does not function at all with the Heron 5 XLR input. In fact, this 3.5mm to XLR cable works on every other amplifier I’ve ever had in house with an XLR input. When I pair the balanced XLR’s of the Mjolnir used as a pre amp to the XLR’s on the rear of the Heron 5, I get a loud hum that makes listening impractical. Basically, the amplifier does not work with a direct connection from a 3.5mm source output, to the Heron 5’s XLR inputs. My USB DAC of choice is the iBasso DX90, which only has a 3.5mm output. So, I normally run a simple 3.5mm male to XLR cable to use with amplifiers that have XLR inputs. This cable setup results in no sound with the Heron 5 due to the configured wiring inside. However, it does work with certain other adapters and products like my ground loop isolator from Pyle: which is a thing that eliminates electrical noise and ground loops in various audio equipment. The device has ¼ and XLR inputs and outputs, so when I connect my DX90 Dac to this Pyle box via XLR, then out that also with XLR to the Heron 5, I am met with perfect, beautiful sound. So, if you want to use unbalanced to balanced connectors, you’ll have serious problems with the Heron 5’s XLR inputs. 3.5mm to RCA on the Heron 5 works perfectly. 3.5mm to XLR does not and you’ll need a device that grounds or splits the signal into separate channels. A lot of amplifiers actually don’t do that. For example, my Schiit Mjolnir cannot be used as a Pre amp for the Heron 5. You are met with a load of static and hum in certain configurations. DX90 3.5mm Dac > Schiit Mjolnir XLR input > Mjolnir XLR output > Heron 5 = severe hum and static due to wiring differences between the amplifiers. Schiit Gungnir > Mjolnir > Heron 5 = perfect sound due to a fully balanced cable setup. Summed up, be careful what your rig is composed of, you might not get normalized sound. I bring that up because I can use a 3.5mm source to the Mjolnir’s XLR input and still get perfect sound. I am not at all cool with how Airist applied this design, it limits me with what I can use and what I cannot use in a nearly $2000USD amplifier. I went looking for you on head-fi and that didnt work out. 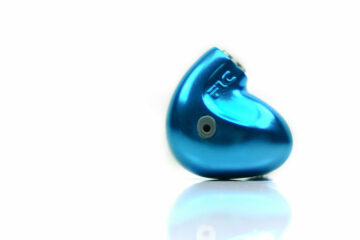 Will you be interested in reviewing the iFi Audio iCan Pro? I asked for my own permanent ban years ago, have not been there since. I’d love to review it. Toss me a message at [email protected] anytime! I applaud Airist for “not” putting a nonsense 3.5mm headphone jack on this Headphone Amp. 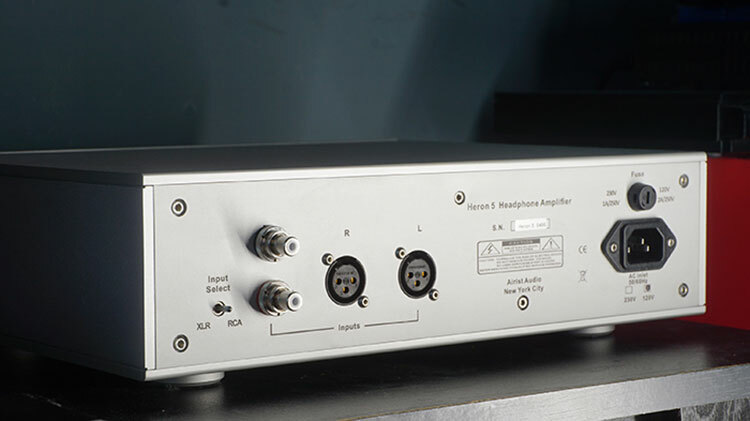 When I’m going to use a $1k headphone amp I have no interest in connecting my HPs to it via a tiny jack that was designed to accommodate connecting them to a much smaller component . A message to Yage on Head Fi who posted this “That Headfonics reviewer didn’t know what the hell he was doing. First, the Heron appears to be a single ended design so the XLR input is more or less a convenience feature and balanced output simply isn’t a viable option. Second, why the hell anyone would want to use the Mjolnir as a preamp to another headphone amp (which already has its own preamp-like gain stage) is beyond me. You’re only increasing noise with a setup like that. Frankly, I’m a little appalled that this guy is “reviewing” audio equipment when he doesn’t understand any fundamentals at all. Airist didn’t tote the amp as single ended only, please don’t give people bad information in the future. It was branded as a balanced input with it’s XLRs. They simply do not function with a balanced DAC or amplifier. When something says it is balanced, you test balanced and you can’t just “consider it a convenience” if you are reviewing it. There is nothing wrong with using a pre amp and there is a massive fallacy in the audio field that often gets propagated by this type of opinion and giving others bad information. All sources do not sound the same when they are paired with an amplifier. A Schiit Modi + Mjolnir sounds different from a Modi + Mjolnir + Airist Amp. That combination will always sound better than a direct connection made up of only the Modi and the Airist amp. The power needs had nothing to do with it, it was purely for tone, texture and the added clarity the Mjolnir brings over some of the lower end DACs I used in the review. There is a whole section about your concerns on the cables and a part that said the RCA to 3.5mm connection worked fine. If you want to use Line Out as I do from your source, you are pretty much screwed with a direct connection of Line Out to the Heron 5, it just isn’t a powerful amplifier. You need a Pre amp, vinyl users NEED a pre amp, CD player users NEED a pre amp in this case and most of the time on the go and when I tote the rigs to meets and gatherings, I am using a portable source like the DX90. Again and with that, the DX90 line out > Heron 5 results in a low volume sound even at 75% volume on the Heron 5. There is no danger going from a 3.5mm output into a Balanced Input. Anyone who says different is lying or doesn’t know what they are talking about. Unbalanced to Balanced is okay. Balanced to Unbalanced is dangerous, and that connect has ever been used in this rig and was not ever setup that way in this review. To have achieved what you are talking about, I’d have to have Gungnir Balanced XLR cables converted to 3.5mm or RCA. To be used on the Heron 5, I’d have to go XLR 3 pins to dual RCA. I never did that. I did go from a 3.5mm source to the XLR inputs, which works perfectly fine on numerous other amplifiers. But as I mentioned in the review, Airist didn’t want to implement what most would consider a basic thing these days. So, a 3.5mm to XLR isn’t possible. 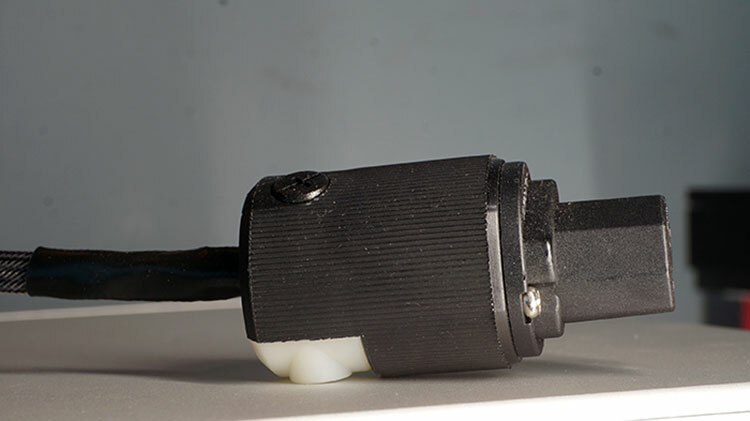 You need a grounder for it to work, IE: The Pyle device I use makes it doable. 3.5mm source to dual 3 pin XLR’s > Pyle Device ground loop isolator > separate XLR cables > Heron 5. Thats the only way you can work with a 3.5mm output only source. And it is perfectly safe as there is no balanced signal being converted to unbalanced. It is the opposite, its a unbalanced connection converted to XLR 3 pin. Re: connecting unbalanced output to balanced input – you’re lucky that you didn’t damage your equipment! Get yourself a 3.5 mm to RCA adapter for your DAC as soon as possible and always connect unbalanced output to unbalanced input or use a transformer (such as your Pyle). Otherwise you risk injecting hum and noise into the signal chain or damage to equipment. One other thing – why you would think it’s a good idea to connect a preamp output to headphone amp input is beyond me. You’re essentially chaining together two gain stages – no wonder you heard hum.